Like many young adults, I went a little crazy with credit cards when I was somewhere between 18-22. At that time, I was $10,000 in debt and felt like it was the biggest, most irresponsible thing I could have done with my financial life! Granted, wealth and debt are relative, but it was a heavy burden to bear at that age. I felt it was a big deal, so it was — to me. I did a lot of research about what it takes to improve one’s credit score. I never paid a company to do it for me. And I followed through consistently with what I learned. The following is based on first-hand experience of having a very low credit score (I don’t recall the actual number, it’s been so long) to 842 when I purchased a vehicle just a few years ago. It didn’t take that long to improve my score, but it wasn’t overnight either. Look at this as a medium- to long-term play. Once you start seeing your score regularly climb higher and higher, you may get addicted to seeing it improve by the good choices you make every day! Then it gets easier to do. Then you may start thinking about the buying power you’ll gain with your new higher score. You may realize that by getting a better interest rate as a result of your better score, you also increase your buying power, including buying a home or investment property. Woohoo! That’s energizing! Let’s dive in . . . This simply means, “How much do I charge on credit cards?” This number is compared to the amount of total available credit across all cards. For example, if a Visa card gave you a $1,000 credit limit and you charge $500 one month, your credit card utilization rate is 50%. This is considered high and will negatively impact your credit score. You want to keep it under 30%. The lower the better. Where people mess up — by closing unused accounts! Never close credit accounts. Charge something, even a $5 coffee once every few months, to prevent the credit card company from closing it from lack of use. (I had this happen to me and it dipped my score!) There are two reasons for this. First, let’s say I also have a Visa with a $1,000 credit limit. I charge $500 on it just like you do. But I also have a Mastercard with a $1,000 limit but nothing is charged on it. My available credit limit in total is $2,000, but since I only charge $500 in total, my credit card utilization rate is only 25%. This is under the ideal of 30% or less. You and I have the same spending habits, yet my score is better impacted. If I close my unwanted Mastercard account, half of my available credit is wiped out, which raises my credit card utilization rate. Second, closing older accounts causes the age of that credit history to be over – like a death. It’ll still be on your credit report as a closed account, but the age of that account will no longer be considered because you’re no longer actively using it. More on that below. BONUS TIP — After consistent, on-time payments, periodically, ask the credit card company to increase your credit limit. You can typically do this through your credit card company’s website. Have NO intention of using it and don’t! What’s the point? When they increase your credit limit, it reduces your credit card utilization rate! As long as you don’t increase your spending habits, this has a very positive affect on your credit score. This one is pretty simple to explain: Pay your bills on time, every time, forever. Even one late payment is recorded. Put your accounts on auto-pay through the credit card company’s service, not your bank. It doesn’t happen often, but I have had my bank’s system fail to send a payment so I don’t risk it. I once heard someone teaching a class on this subject say that you must not pay all of your balance every month or else you’re not “using” your credit. NOT TRUE! I have four credit cards. I haven’t paid interest in over 15 years on any of them and, as I stated earlier, I had a credit score of 842 when I bought my car. One can’t get much higher than that when the scale stops at 850. BONUS TIP — How have I never paid interest on my credit cards? All my cards have an interest rate, but I pay my FULL STATEMENT BALANCE every month. You cannot be charged interest when you pay off your balance by the due date. There is NO category for “did s/he leave a balance in order to charge interest, therefore s/he is more desirable for lending.” These systems are ONLY looking at whether you paid on time and did you pay at least the minimum balance. Paying it on time and in full does meet this criteria. These are late payments, foreclosure, collections account for non-payment, civil judgements, tax liens, and debt settlements. I once had a disreputable multi-family property management company attempt to charge me a huge amount for normal wear-and-tear items such as “nails in the wall.” Being an experienced property manager, I couldn’t believe the lack of integrity in doing this. But I wasn’t going to let my credit score hold me hostage. I didn’t pay it. They “dinged” my credit report and to my surprise and delight, it did NOT have a significant impact on my score. I credit this to 1) the fact that I had not had any derogatory marks in 15+ years and 2) the other five factors which account for my score were perfect for at least a decade, if not more. BONUS TIP — Debt Settlements. This is where you work with a creditor to reduce the total amount that you owe. They will write off part of it in exchange for your regular payments on it for an agreed upon period of time. Take advantage of this if the debt is too much for your to bear and you fear total collections on it. 1) It will teach you to make regular payments with a “light at the end of the tunnel.” 2) Hopefully, this will remind you not to get into debt you cannot pay in full with next month’s statement. 3) This type of derogatory mark is not as severe as a total collections. BONUS TIP — Removing Derogatory Remarks. They say negative items will remain on your account for 7-10 years. This is true, but you can dispute items via the credit bureau yourself without paying a company to do it for you. If it’s a debt you don’t recognize or looks old, ask the credit bureau to remove it. This can be done via that bureau’s website. They will ask the creditor to prove it’s legitimate. If they can’t (and this may happen due to technical glitches or the selling of debt or company mergers, etc. ), the credit bureau will remove it. Years ago I did this successfully and saw a surge in my credit score. Also, ask the collector what it will take to remove the mark. They may ask you simply pay X amount over what’s due (yes, they’ll pocket that extra and pay off the original creditor) and they’ll remove the derogatory mark. I’ve done this tactic too! They removed the mark without hours. This simply means “how old is your oldest credit account?” This informs on how long you’ve been able to handle credit. The newer the credit holder, the riskier you are. It’s like the age of a driver. The younger the driver, the riskier s/he is to insure. This is why I told you not to close credit card accounts. An account will be closed by the creditor without notification if you never use them for an extended period of time. Thus, periodically (say, once every 4 months) charge a little something on it. Or, to do this without thinking about it, always charge a household bill on it. Just one will do. And always pay it in full. All of this can be done on auto-pay! Unless you are amongst the ultra-wealthy and don’t need credit, you’re likely to have more accounts as you get older — credit cards, student loans, cars, mortgages. That’s okay. Creditors are looking at the variety of accounts you hold responsibly. Lots of people are more concerned with this category than any other, when in reality, it has a low impact on your score. When you’re starting out with credit repair though, be strict with every category until your score can handle any type of hit – even a low impact hit. Thus, when you’re buying a house, it’s okay to get at least three quotes from various lenders. You are comparison shopping at about the same time, and this does not greatly impact your credit score. I hope this was helpful! 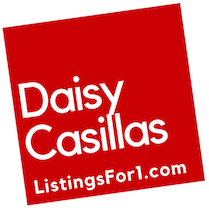 Contact me if you have further questions or you’re ready to buy or sell a property anywhere in Washington state.